It has been confirmed that the hotly anticipated sequel to Star Trek will arrive in theatres on 17 May 2013, in glorious 3D for your viewing pleasure. It is currently unclear whether the as-yet-untitled project will be filmed with 3D cameras or if director JJ Abrams will add the effects in post-production. Filming is due to commence in January 2012 with Chris Pine, Zachary Quinto, and other key cast members reprising their roles amid rumours that Benicio del Toro is being considered for the villain. The 2009 reboot of the popular franchise was a critical and box office smash which earned $79 million in its opening weekend and went on to recoup more than $257 million in the U.S. alone. 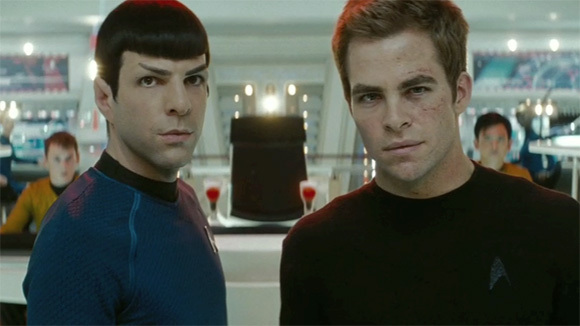 Will you be one of the excited Trekkies queuing for the sequel when it opens? Let us know in the comment section below!